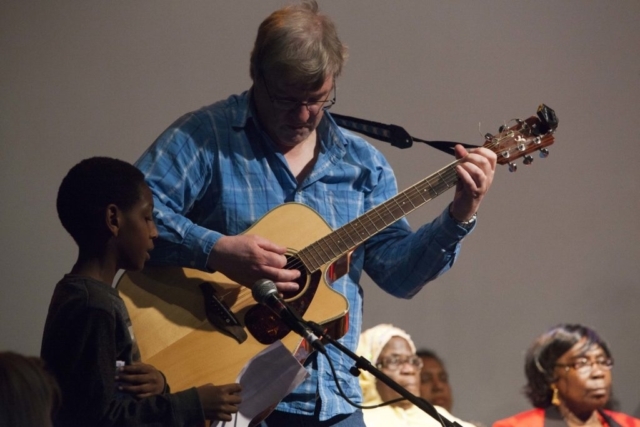 Over a period of several months, two separate intergenerational groups met to celebrate the impact of music on our lives. 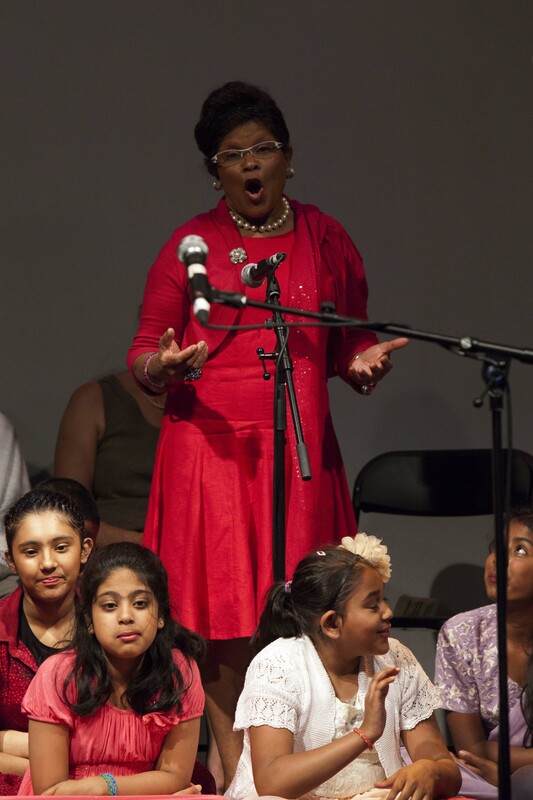 Following our successful Songlines project , in 2013 we produced an intergenerational performance at RichMix to present the work two intergenerational groups had made together. Over a period of several months, two separate intergenerational groups met to celebrate the impact of music on our lives. They connected with each other through music and found out about each other’s lives and memories connected to music. Children from Shapla primary school teamed up with local older people, and children from Old Palace primary school met with older people at the Bromley By Bow Centre. The groups worked with Magic Me artists Sara Clifford, Kate Lovell and Verity Standen. We asked the groups to think about what music actually is. People shared music which was important to them and listened to music from a variety of different genres. They thought about whether they liked the different pieces of music, and what kinds of feelings music can inspire. 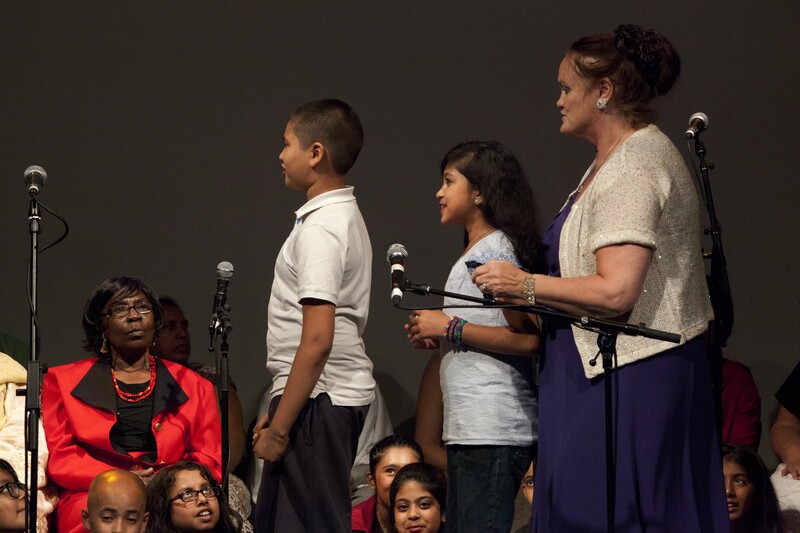 Alongside this, the group worked together to describe themselves to each other, both individually and together, which inspired the poetry recited at the live performance. They created their own physical gestures and musical ‘motifs’ which represent who they are. The two groups also composed a piece of music together, without meeting until the week of the performance. They premiered the exciting musical experiment to a live audience on 19 June 2013.